How much is Austin Chumlee Russell Worth? Austin Chumlee Russell net worth: Austin Chumlee Russell is an American reality television star and pawn shop employee who has a net worth of $5 million. Austin Chumlee Russell is most famous for his starring on the History Channel show "Pawn Stars". For every episode of Pawn Stars that airs, Chumlee earns a salary of $25,000. 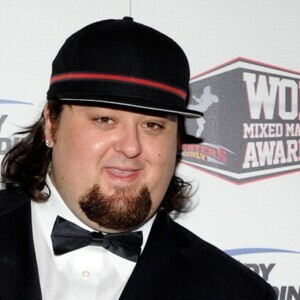 Austin Chumlee Russell was born on September 8, 1982. He earned the nickname "Chumlee" after his father compared him one day to the walrus "Chumley" on the cartoon Tennessee Tuxedo. The name stuck. One of his childhood best friends was Corey Harrison, son of Rick Harrison and grandson of Richard Harrison. 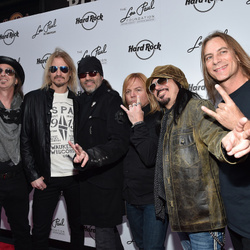 The elder Harrisons founded the Las Vegas based Gold and Silver Pawn Shop in 1989 which is located just a few minutes off the Las Vegas strip. Chumlee began working at Gold and Silver when he was 21 years old. The pawn shop gained its first level of notoriety after being featured on the Comedy Central television show "Insomniac with Dave Attell". 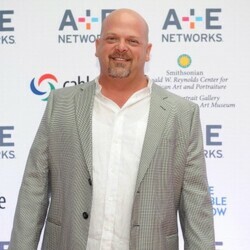 After that episode aired, Rick Harrison pitched a full fledged series to dozens of production companies and networks until finally The History Channel bought it. Today Chumlee works behind the counter of the pawnshop and is known for his comic foibles. He has a special interest in vintage pinball machines. Chumlee is also an avid shoe collector with more than 150 pairs in his closet. The show follows the goings-on at the Las Vegas based 24-hour Gold & Silver Pawn Shop. Austin famously was able to talk a local Maserati shop into selling him a $100,000 car for only $85,000 proving his skills as a haggler. In addition to his Maserati, Chumlee owns a Rolls-Royce Phantom, Range Rover, Cadillac Escalade and a 1964 Impala SS. Pawn Stars is currently the most popular show on The History Channel. Since its debut in 2009, it has aired 254 episodes across 7 seasons (as of December 2013).